Home Unlabelled How are universities using spend management assets? How are universities using spend management assets? Providing students with the kind of education they can use to support extensive, profitable careers is a goal every university administration department would like to achieve. However, doing so is easier said than done. Ad-hoc spending and disorganized procurement can hamper an institution's efforts to allocate budgets for the benefit of its enrollees. That's where spend management enters the fold. The goal is to deduce how school resources are being allocated, and whether or not current systems are supporting the enrichment of students. However, completing this responsibility isn't as easy as some would think. Ad-hoc purchasing can plague any organization, especially large universities responsible for taking care of pupils with diverse needs. Spend management software: A useful asset? Process is the most important component of spend management. Such endeavors require diligence, expertise and thorough knowledge of a university's expense portfolio. While soft skills shouldn't be ignored, applications can provide professionals with the tools they need to give their spend management initiatives structure. Keeping data organized and applying analytics to that information can go a long way in reducing the time it takes for a team to compose and deliver an expenditure report. According to Campus Technology, the University of Utah and Weber State University recently set plans in motion to deploy SciQuest's cloud-based spend management software. 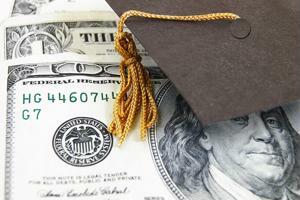 The latter organization specializes in purchasing and expense management for universities and colleges. Its applications are grounded in the principles of strategic sourcing, prompting users to centralize procurement. In addition, SciQuest's solutions have features that ensure school administrators are compliant with regulations imposed by state and federal agencies to decrease education costs. Again, technology isn't a means to an end, but it certainly helps to use software that's "cognizant" of spend management priorities. How professionals choose to use such solutions depends on their dedication to the initiative. "We understand the unique challenges institutions in higher education face and provide a variety of products that remove roadblocks and turn spending into a strategic source of savings," said SciQuest Senior Vice President of Sales Doug Keister, as quoted by the source. "SciQuest is the go-to solution for more than 200 colleges and 400 campuses nationwide." Between meal plans, housing, professor salary and a wide breadth of other expenses, amalgamating expense reports from each facet of a college is a challenge. Behind every financial outline is a set of needs unique to each department. Sure, there are cases of careless spending, but for the most part, different groups procure assets, tools and resources to help them fulfill certain obligations. So, how can a university execute strategic sourcing without sacrificing the needs of its associates? Within your spend management team, assign each member to be a sort of liaison between your group and two or more different departments. Each person will be responsible for scrutinizing the workflow of each university group and interviewing its leaders to identify specific reasons for making certain purchases. This will help the initiative consider the "human" aspect of expenses. Furthermore, it will enable your team to develop a comprehensive, intimate picture of the institution's expense portfolio. The level of specificity that your spend management group must achieve is central to removing the waste and determining what is providing value. It's possible that more affordable, "better" alternatives are available when it comes to purchasing technology, equipment and other resources. Thus, your team must also behave as procurement experts, leveraging networking expertise and financial acumen to acquire cost-efficient goods without sacrificing the well-being of students. In regard to the latter point, adopting the mindset that a university's students are its customers will drive these initiatives home.